It's fascinating that planting a chrysanthemum and pest control issues is the solution to the problem in your garden! It appears it's actually the extract from the Chrysanthemum plant that is the effective component attributing to the pest control in gardens. This component is known as pyrethrum and comes from the flower head portion of the Chrysanthemum. The active ingredient in pyrethrum that is actually known to kill the insect is called pyrethrin. Please don't confuse the two, they are different names. To clarify, again, pyrethrin is the ACTIVE component of pyrethrum that kills the pest. To put it more simply, you could say it's the extract of the extract that does the job. Yes, I was confused, too. After an insect's exposure to pyrethrin, the substance then enters the nervous system after penetrating the cuticle. It then disrupts the signal transmission of the nervous system and disables it. As a result, this kills the insect. It's known to kill most types of garden insects because it's such a broad spectrum insecticide. One method of application is acquiring the Chrysanthemum plant parts. You can grow your own, cut off the flower heads, dry them out, grind them into a fine powder, and spread your own natural Pyrethrum dust throughout your garden. Another method is planting them strategically throughout the garden or as border plants to repel insects. This is not to be confused with the commercially the bought Pyrethrum dust, which is also typically laced with toxic insecticide chemicals. You can even spray this dust directly onto the insect itself. It's highly effective against soft bodied pests such as aphids. What's great about this is the fact that it's non-toxic to humans, livestock, and pets. It can also be helpful as a flea powder. When you're finished with the pyrethrum, make sure you store it in a cool, dry place. This would extend the longevity of the product for a couple of years. Keeping it in direct sunlight where it can be exposed to UV rays can degrade the potency of this product in a short amount of time. Beautify and Get Rid of those Garden Pests at One Time! 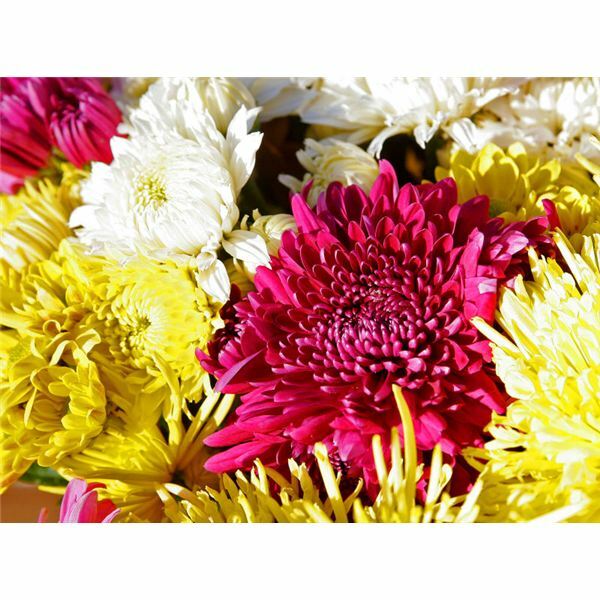 When planting them for purposes of warding off insects, make sure you get a breed of Chrysanthemum that is hardy to your geographic region. Also, do not plant mums in an area that's wet or shady, this environment would be too challenging for them to thrive. In areas where you're unable to plant strategically, try manufacturing a contained plant set up. Either plant or grow the Chrysanthemum in a pot and place it in the desired area of your garden. If you'd like to go beyond just protecting your garden, and perhaps your whole yard, you can plant them along the driveway and sidewalk. Another good location would be your property line. It's great to find something that not only beautify a garden, but also can keep a garden safe from pests as well. This article series will cover natural ways to control pests without the use of commercial chemicals.